MH CET Law 2018 is for admission into integrated (5-Year LLB) and non-integrated (3-Year LLB) courses in Law in the state of Maharashtra. This is the third times that the law Colleges are conducting a combined entrance exam for admission into LLB courses in Maharashtra. MH CET Law is conducted by the Directorate of Higher Education Maharashtra. The candidates applying for the MH CET Law 2018 can check the details here like dates, eligibility, application process, fee, exam pattern, syllabus, result and other important details here. Scroll down for MHCET Law 2018. MH CET Law 2018 application process for 3 yrs LLB (H) program was started from 16 April 2018. The last date to apply for the same was 16 May 2018. Till last year, there was a combined application process for both the programmes. MHCET Law 2018 application process for 5 yrs LLB program has been closed. The entrance exam for the same was successfully conducted on 22 April 2018. Latest Update: The counselling for MH CET Law 3 yrs LLB program has been started. The candidates can apply online through the link below. MH CET Law Result for 3 yrs LLB program has been declared today i.e. 29 June. The Link to check MH CET Law Result is available below. MH CET Law Admit Card for 3 years LLB program has been released today on 31 May 2018. The Direct Link to download admit card is available here. MH CET Law 2018 Result for 5-yrs LLB has been released. The candidates can check their result by following the link given below. All Unaided colleges (including Minority)offering LLB 3 Year, 5 Year Integrated Course, covered as per the Act. 11 April 2018 31 May 2018 - Available! 29 June 2018 - Declared! Maharashtra CET Cell has started the mock test for the practice of the candidates. Candidates should appear in the practice test before the online test which will be held on 22 April 2018 and 17 June 2018. The Father or Mother of the Candidate is domiciled in the State of Maharashtra. or is an employee of the Government of Maharashtra/ Govt of India or Government of Maharashtra / India Undertaking. The Candidates who have passed SSC (Class 10) and or HSC Examination or Equivalent Examination (Class 12) from a recognized institution from a disputed Maharashtra-Karnataka Border Area and whose Mother tongue is Marathi. Foreign students, Person of Indian Origin (PIO) and Overseas Indian Citizen (OIC) can also apply for the exam. All India Candidates are also eligible for appearing in the MH Law CET Exam 2018. For candidates representing the boards following the grading system, their grades would be converted into marks for processing the eligibility criteria of CET. The person who has successfully completed the senior secondary education from a recognized board or university can apply for the course, but for those candidates who have passed class 10 but were not a part of full-time course curriculum from Class 1 to 9 are not eligible to apply for the exam. MH CET Law application process for the 3 Year LLB course started on 16 April 2018 and ended on 16 May 2018 While for the 5 Year LLB Course it started from 23 February 2018 and ended on 26 March 2018. Candidates can fill the application form through online mode. The candidate has to apply online to appear in MH CET Law 2018. To apply candidate will have to first register on the official website of Directorate of Technical Education and follow the following procedure. Pay the Application Fee: Application fee can be paid online through internet payment using Credit card/ Debit card/ Net Banking/ IMPS/ Cash Cards etc. Take a printout of the system generated online application form. MH CET Law Admit card 2018 is available to download from 31 May 2018 for 3 Year LLB (H). Candidates who submitted the duly filled application form along with the application fee on or before the final date of submission can download the admit card. Please note that MH CET Law Admit card 2018 will not be sent by post. The candidates can also download the admit card from the link given below. The link below also help the candidates by providing guidance on how to download the admit card. The candidates need to log in with their registration number and password/ date of birth to download MH CET Law Admit Card 2018. The application fee for MH CET Law is given below for different category. The candidates belonging to the respective categories must pay their application fee accordingly. The fee has to be paid through online mode only that is Credit card/ Debit card/ Net Banking/ IMPS/ Cash Cards etc.. The Application fee once paid by the candidates is non-refundable. MH CET Law 3 Year LLB (H) Result has been declared on 29 June 2018. Earlier, MH CET Law Result 2018 was declared on 7 May 2018 for the 5 Year LLB (H) course. 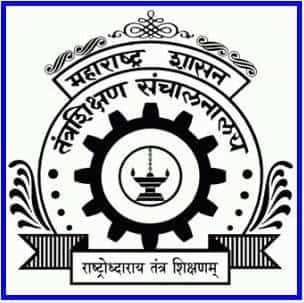 The candidates who have appeared in the exam can check the result on the official website of the DTE Maharashtra as well as on the website of motachashma. DTE Maharashtra will not send any hard copy of the results to any candidate. Candidates will be able to check the result for both the programmes from the link given on this page. The Medium of the question paper will be in English and Marathi. The marks which will be allotted for each subject is given in the table below. The exam is consist of total 150 marks. Basic Mathematics: This section is to test the numerical ability of candidates. The mathematics question will be set from the 10th level, of various topics including Profit and Loss, Speed and Distance, Time and Work, Algebra, Average, Venn Diagram. 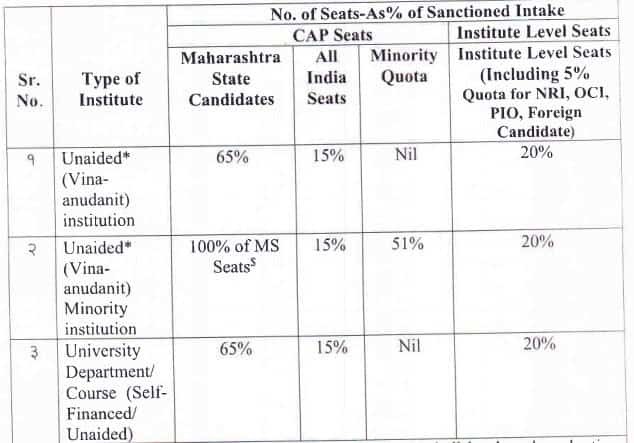 Allocation of Seats for admissions to the Professional Undergraduate Degree courses in Law into the unaided (vina-Anudanit) Professional Educational institutions and Unaided/Self-Financed Undergraduate Degree Departments/ courses in Law into Non-Agricultural Universities. MH CET Law Application Form 2018 - Available!